Ingredients: Concentrated Fish Oil , Vitamin E, Lemon Oil. Recommended use: As a dietary supplement take one (1) teaspoon (5 ml) daily with a meal, or as directed by your healthcare practitioner. 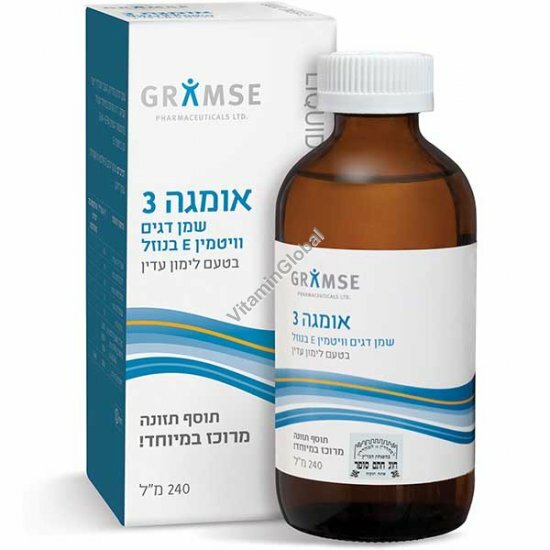 Manufactured by: Gramse Pharmaceuticals Ltd.